More than anything, Tom Raines wants to be important, though his shadowy life is anything but that. For years, Tom's drifted from casino to casino with his unlucky gambler of a dad, gaming for their survival. Keeping a roof over their heads depends on a careful combination of skill, luck, con artistry, and staying invisible. Then one day, Tom stops being invisible. Someone's been watching his virtual-reality prowess, and he's offered the incredible - a place at the Pentagonal Spire, an elite military academy. There, Tom's instincts for combat will be put to the test and if he passes, he'll become a member of the Intrasolar Forces. 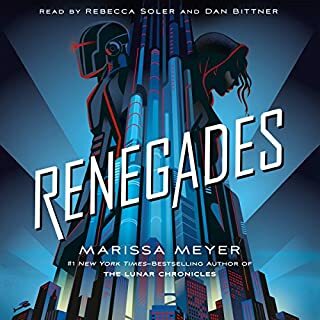 Red Queen meets The Hunger Games in this epic novel about what happens when the galaxy's most deadly weapon masquerades as a senator's daughter and a hostage of the galactic court. Nemesis is a Diabolic, a humanoid teenager created to protect a galactic senator's daughter, Sidonia. The two have grown up side by side but are in no way sisters. Nemesis is expected to give her life for Sidonia, and she would do so gladly. She would also take as many lives as necessary to keep Sidonia safe. When the power-mad emperor learns Sidonia's father is participating in a rebellion, he summons Sidonia to the Galactic court. She is to serve as a hostage. Now there is only one way for Nemesis to protect Sidonia. She must become her. Nemesis travels to the court disguised as Sidonia - a killing machine masquerading in a world of corrupt politicians and two-faced senators' children. It's a nest of vipers with threats on every side, but Nemesis must keep her true abilities a secret or risk everything. As the empire begins to fracture and rebellion looms closer, Nemesis learns there is something more to her than just deadly force. She finds a humanity truer than what she encounters from most humans. Amid all the danger, action, and intrigue, her humanity just might be the thing that saves her life - and the empire. What did you like best about The Diabolic? What did you like least? Based on the summary and reviews here, I was expecting a light sci-fi read with plenty of action and subterfuge. I was surprised then when the second half turned into a mushy teen romance novel. The book begins by introducing us to Nemesis, a genetically engineered killing machine (known as a titular "Diabolic") whose sole purpose in life is to protect Sidonia, the daughter of a galactic senator. Aside from an instinctual need to keep her ward safe, Nemesis was bred not to experience emotions and has little understanding of them. The first person perspective works great here, giving us a look inside the Diabolic's head as she tries to make sense of the affection and care shown to her by Sidonia. Their complex bond was the bright spot in the book for me. The introspection that happens throughout the story as Nemesis explores what it means to really be human was the only thing that kept me engaged in the later on. As the above synopsis tells you, Nemesis has to travel to the center of the galactic government to impersonate the senator's daughter. And then things start to go downhill from here. She makes a lot of decisions that are out-of-character compared to how she was depicted in the first act. YA tropes begin to pop up (particularly with the galactic court being the equivalent of Hunger Games' Capitol, and the "lovers from two different worlds" cliche). The unexpected, mushy romance further detracted from the story for me, but I understand now I'm not exactly the target audience for what this book was trying to do. There is some interesting political intrigue and deception, but the scope and complexity of those aspects are relatively light. I really enjoyed the writing style for 85% of this book with things faltering a little when describing the romance (seriously, how many times is she going to mention the love interests "muscular arms"? Change it up every once in a while). 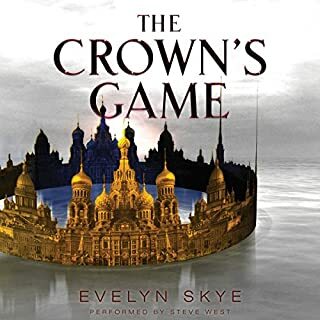 Fortunately the narrator is excellent, and her dynamic intonation adds variety to some of those repetitive passages. I can't say enough about how much I liked her performance. Dialogue is well done and appropriate for each character, ranging form the detached Nemesis to the empathetic Sidonia to the calculated, reserved love interest (don't want to spoil it by mentioning the name). While some character's voices don't differ much tonally, the little nuances in cadence and accent give each a unique identity. For these reasons, the narrator rescues some of the weaker parts of the writing.TLDR: Interesting exploration of human emotions and light politics bogged down by CW-style teen drama. If you don't mind that sort of thing, and you're looking for somethign sci-fi, this is the book for you. the World building was wonderfully done for a one novel story. 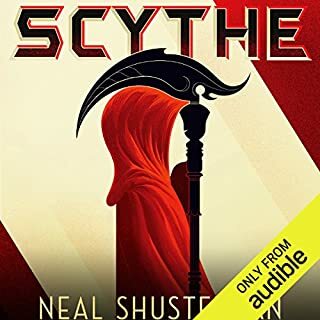 I'm going to have to go back and read this instead of listening to it because while I feel like the character development was done well the narrator did such a terrible job during the dialogue scenes that it completely ruined any suspension of disbelief. The actual narration where she told the story or let us know how the character was feeling had a lot of emotion, articulation, and substance. unfortunately almost every scene involving dialogue was choppy, poorly read, with a tone that was often times at war with the emotions the characters are supposed to be feeling. I often get tired of formulaic stories. This story makes me think that maybe it has to do with trying to break the mold and more with trying to master it. You know what's going, you know how it'll end because it is the old formula. Still, the author had a way of making me care anyway. Perhaps it's when the formula is done poorly that it gets boring, because I certainly wasn't bored listening to this. An original, well written and engaging story. 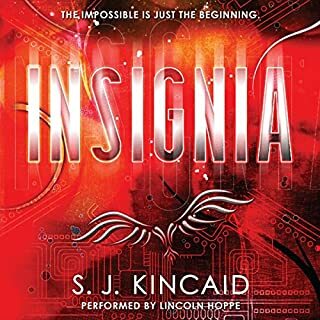 I recommend it to all who love the sci-fi / fantasy genre. This dystopian novel of a dangerous futuristic society is full of intrigue, sabotage, and excitement. Nemesis and Tyrus are two of the most well-rounded and fascinating characters I’ve read in YA literature. I am completely addicted to their story, this world, and the incredible imagination of S.J. Kincaid. 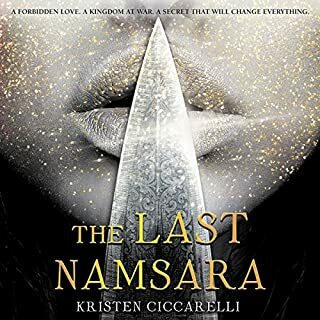 The second installment, Empress, is also available, and has left me speechless, waiting for the final novel of the trilogy. A FABULOUS science fiction foray into the unknown! Can't wait to read next book! 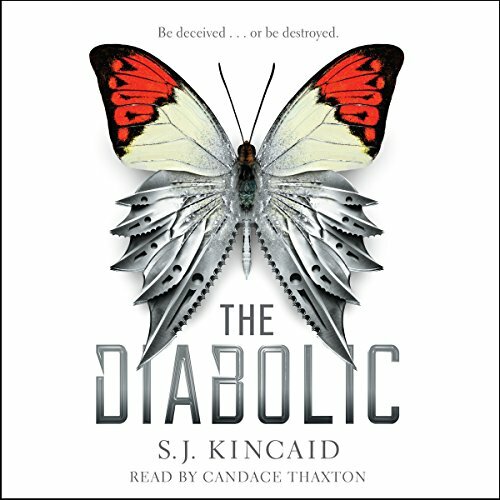 Where does The Diabolic rank among all the audiobooks you’ve listened to so far? This is one of the top 10 audiobooks I have listened to. The only thing that would have made it better was a little stronger ending. What other book might you compare The Diabolic to and why? Which character – as performed by Candace Thaxton – was your favorite? Nemesis was my favorite performance because you could feel the personal changes she made throughout the book and Candace captured the new emotions as they emerged beautifully. The jealously that Nemesis felt when they were beginning to launch their plan, even when she knew it was an act. I could feel that. I liked the reader at first because her voice reflected the numb sensations that the characters personality reflected. as the character developed and changed the voice stayed numb. I guess what I'm saying is a wish the reader developed some feeling in her voice to reflect the characters developing personality. The story had twists I saw and those I did not see coming. Very well written. So Thrilling as an Audiobook! What did you love best about The Diabolic? It's Originality as a story, and the well written Universe that our characters live in. It draws you in. 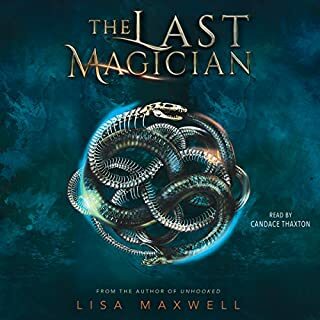 I've read the book and now listened to the audiobook, because it is an original story that keeps you invested and interested through your journey. Ohhhhh that's a dirty question! I really don't have one. Candace Thaxton really made me lean forward and notice some of the things in the book that I missed the first time I read it. Yes! It made me experience a very wide array of emotions. An immersive Story in a beautifully written world. Worth every minute! this book was amazing from start to finish! would recommend to anyone​if their looking for a quick read.